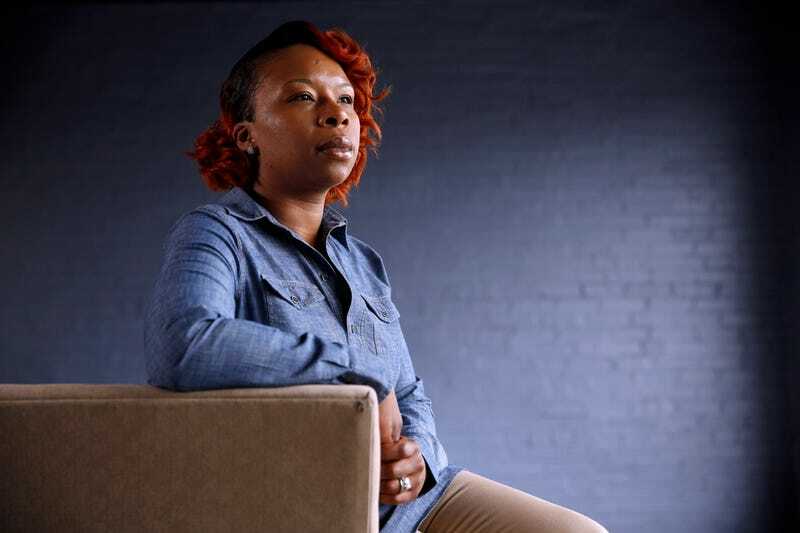 Lezley McSpadden, mother of Michael Brown, lost a hotly contested 3-way race for a seat on Ferguson’s city council Tuesday night. Had she won, McSpadden would have helped oversee the police force whose officer shot and killed her son in 2014. According to the St. Louis Post-Dispatch, Fran Griffin, a local activist and organizer who sits on several community boards in the majority-black suburb, won 44 percent of the vote. In winning the seat, Griffin, who is black, ousted incumbent Keith Kallstrom, who received a little more than a third of the vote. McSpadden announced her candidacy for the Ferguson City Council race last year, moving to the third ward so she could be eligible for the seat. Before she formally announced her campaign, McSpadden wrote an op-ed for The Root explaining her desire to move into politics. She recently reiterated her stance to the Associated Press, stressing that police accountability would be a top priority for her if elected to the Council. Since her son’s death at the hands of Ferguson police officer Darren Wilson, McSpadden has become increasingly active in politics. She’s a member of the “Mothers of the Movement,” a group of black women who have had their children or family members killed by police or vigilantes. The group also includes Rep. Lucy McBath, who won her bid for a Georgia congressional seat last year. Like McSpadden, McBath’s campaign and legislative priorities were shaped by the death of her son, 17-year-old Jordan Davis, who was shot and killed by a white man at a Florida gas station in 2012 after an argument over loud music. McBath wished McSpadden good luck Tuesday evening before the election results came in. Brown’s death helped galvanize the Black Lives Matter movement, with the protests in Ferguson, Mo., permanently reshaping the political and social justice landscape in the St. Louis region and across the country. Speaking to The Root last November, McSpadden said her campaign was part of a larger turning point for her—a way of fulfilling her son’s promise. She said she knew Michael would be proud of her. Mike Brown Movie Based on His Mother’s Memoir in the Works at Warner Bros.